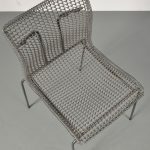 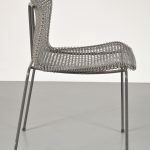 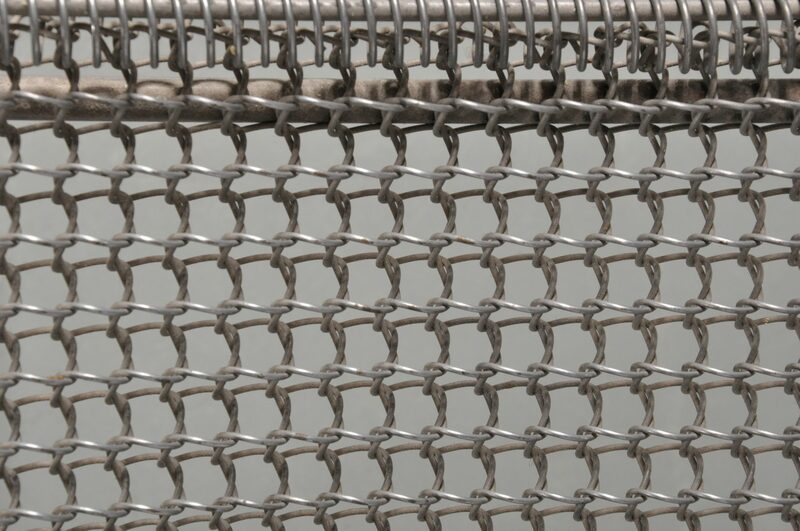 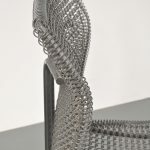 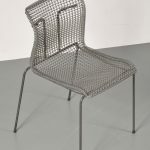 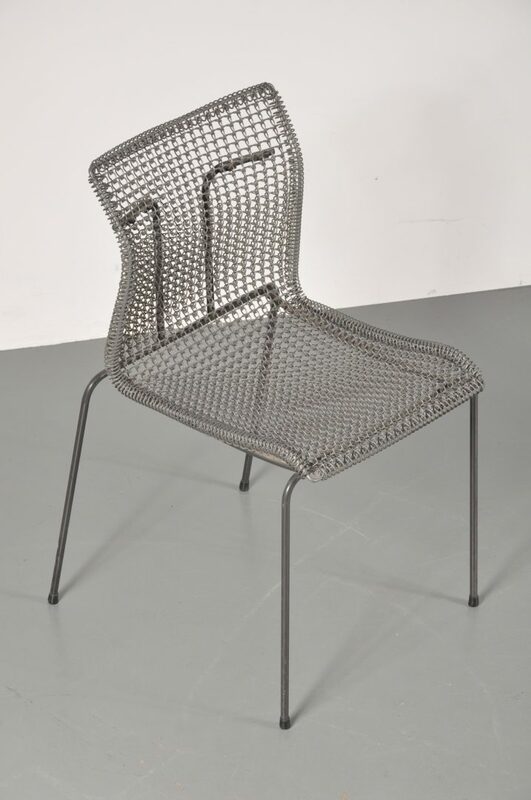 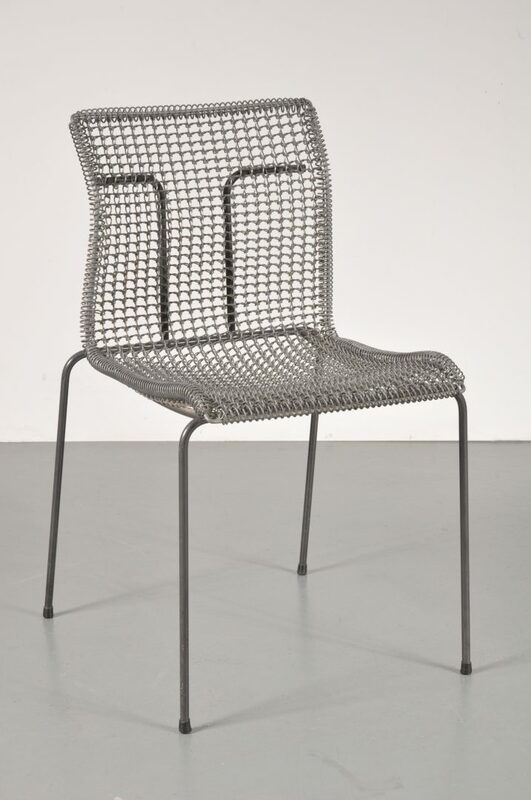 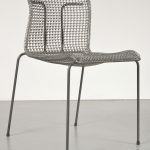 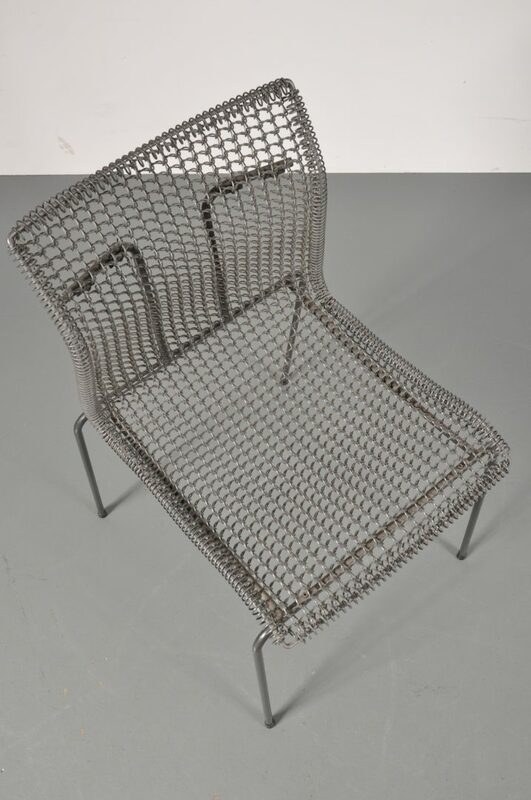 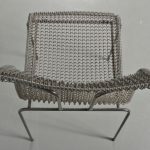 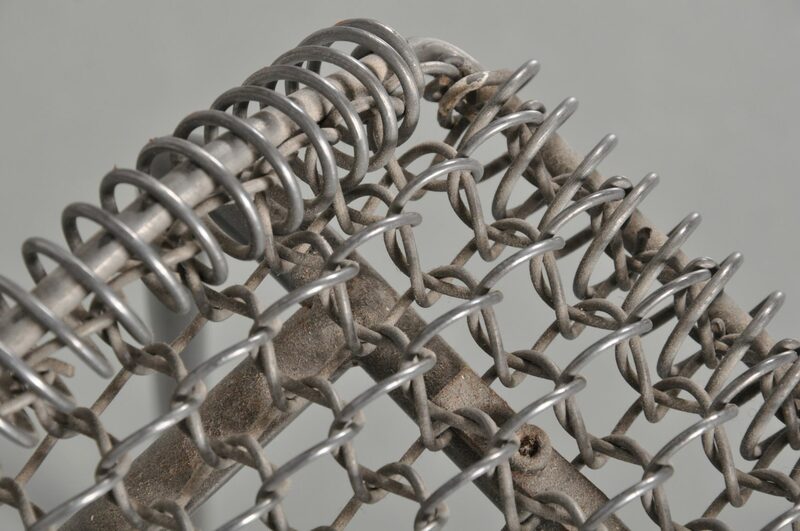 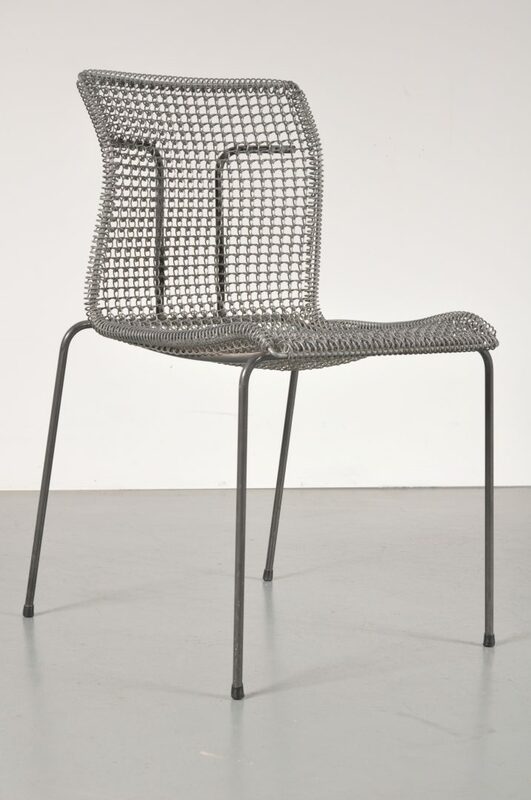 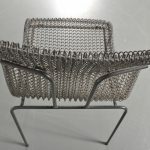 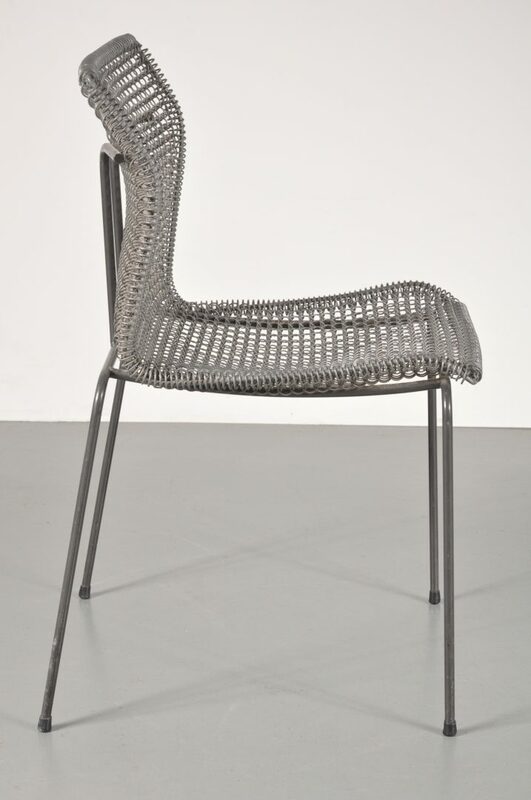 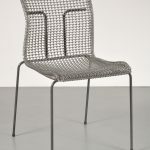 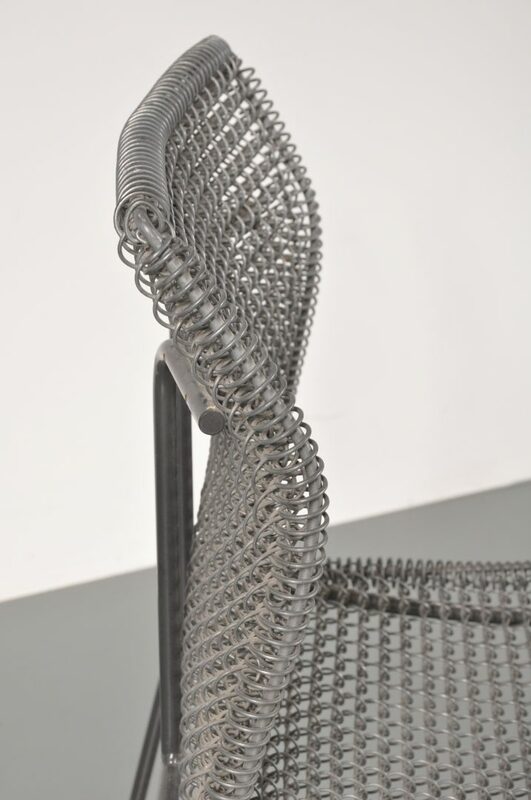 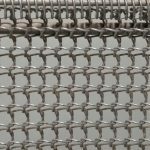 A unique side / dining chair made of high quality chrome plated metal and wire metal. 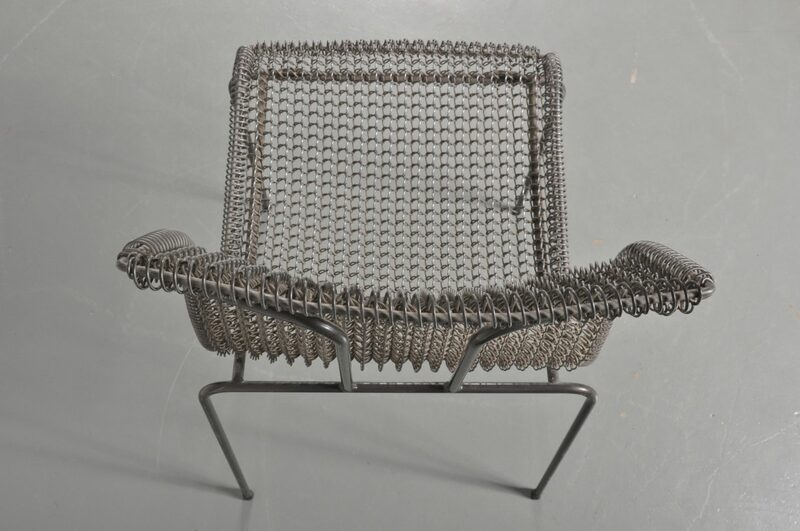 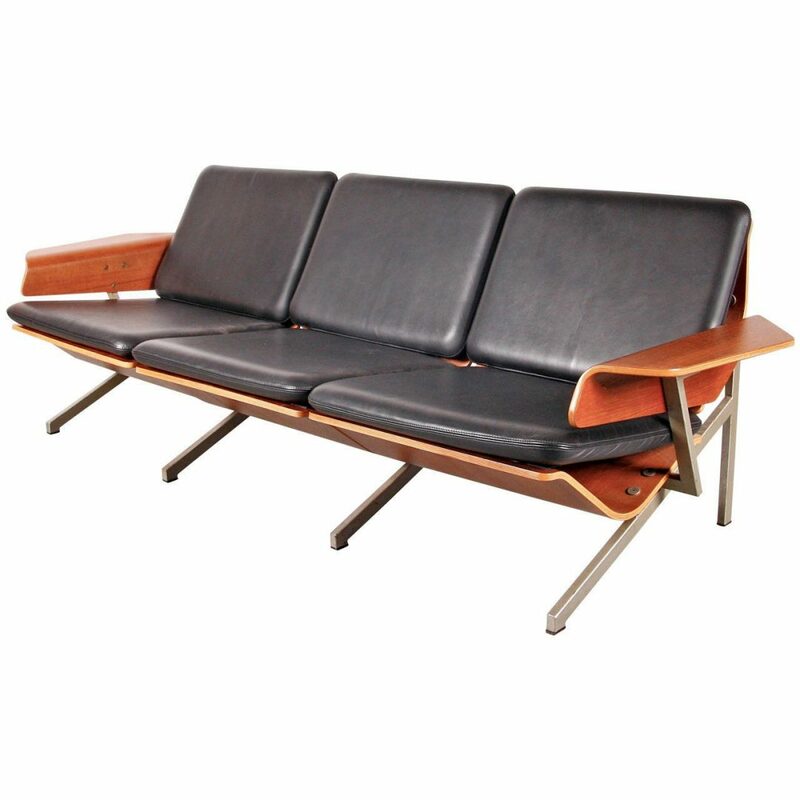 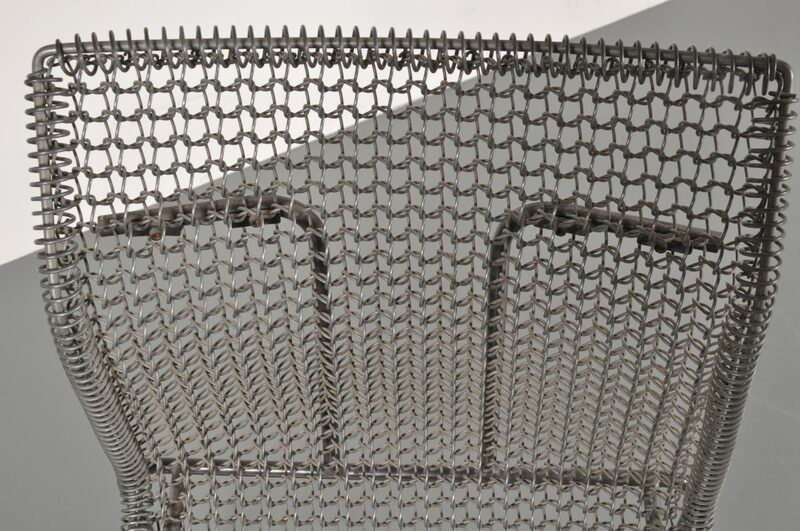 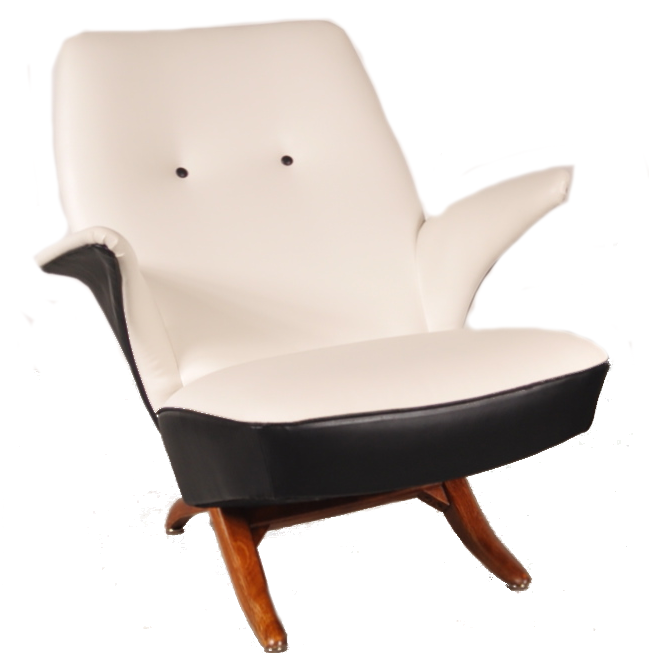 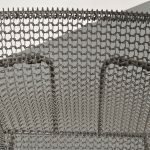 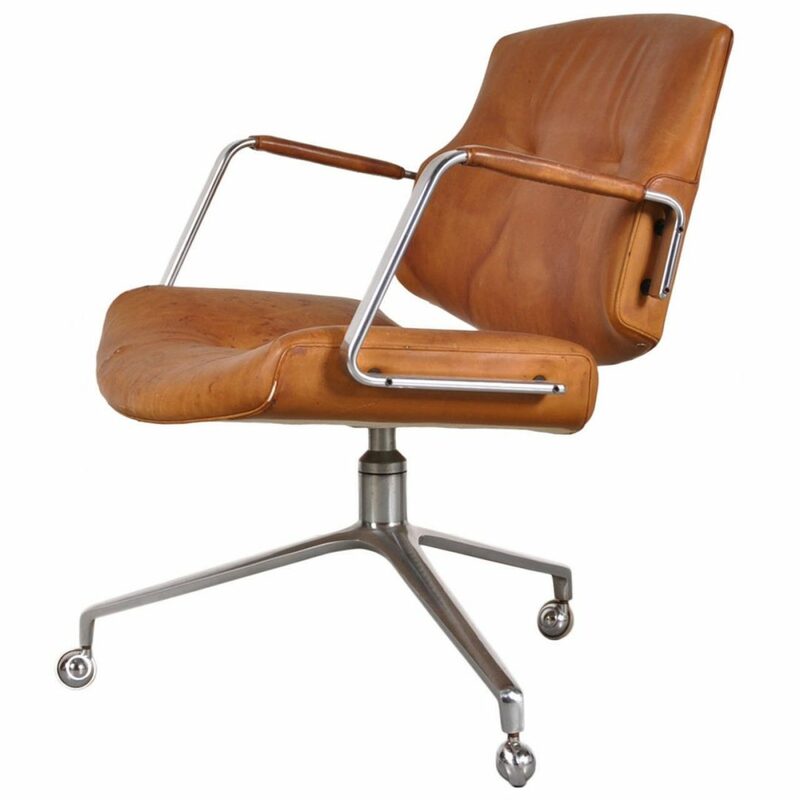 It has a unique syle and the springy material provides a unique seating experience. 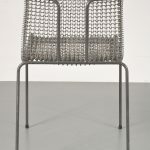 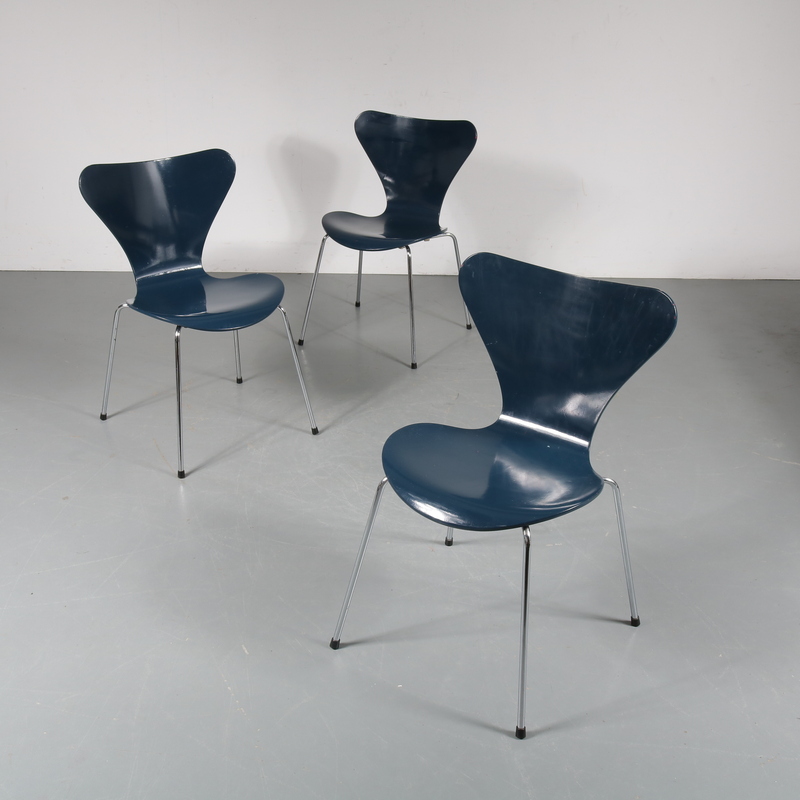 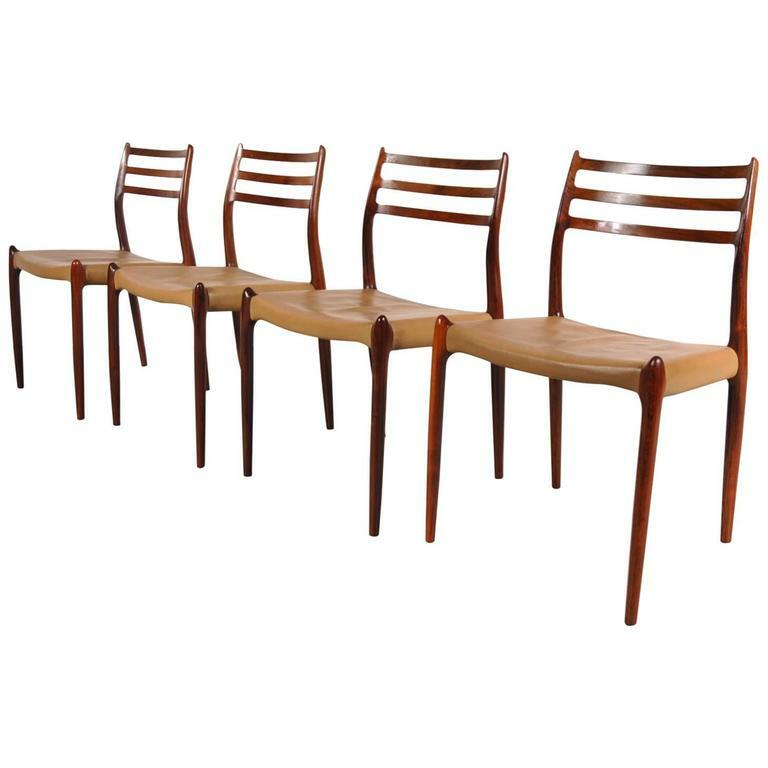 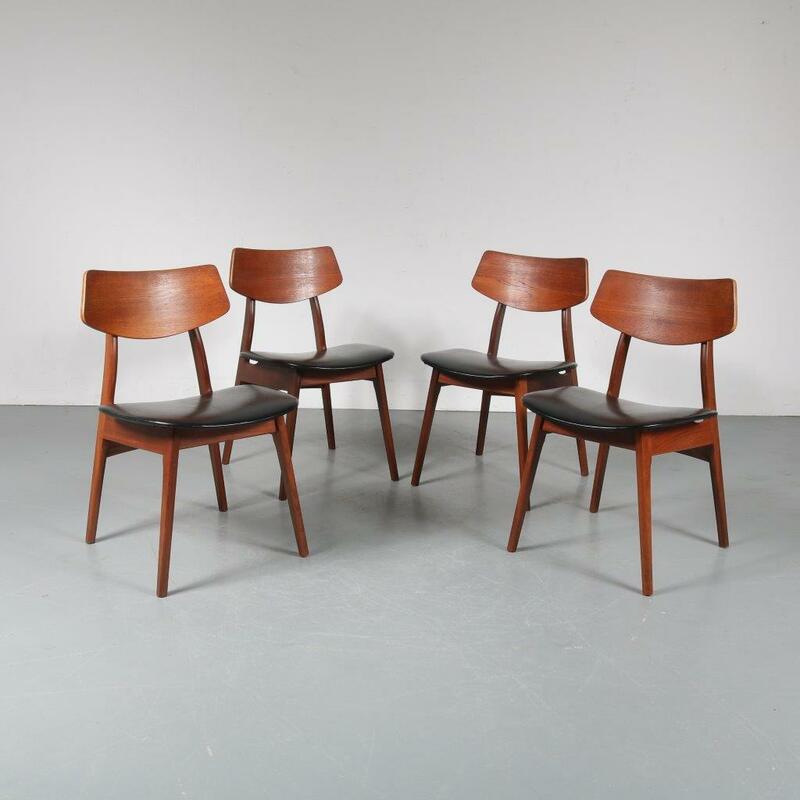 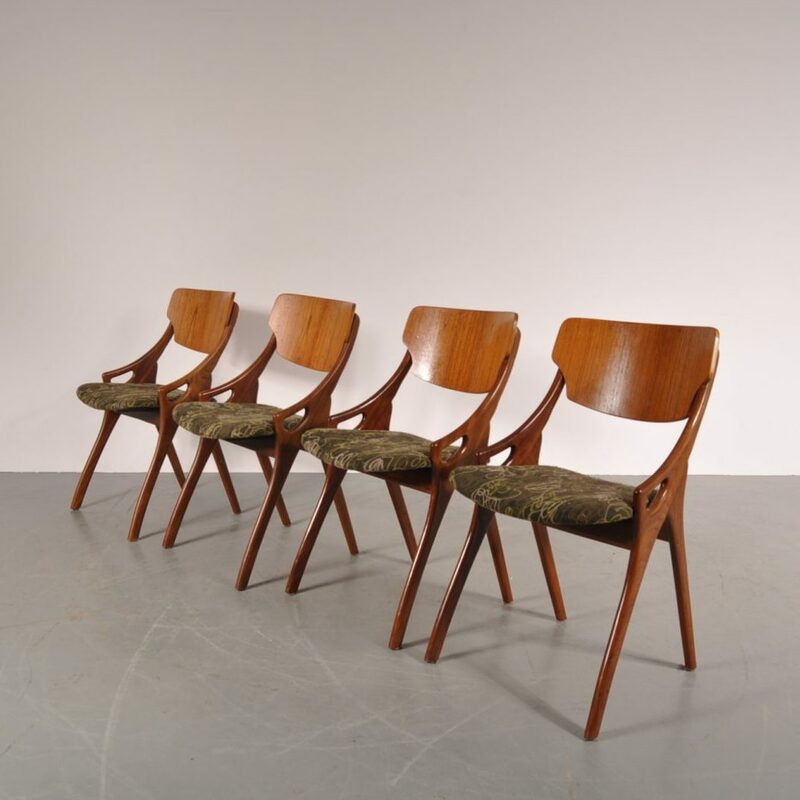 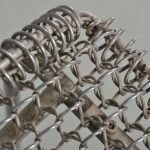 It has been produced in only a very small amount, making this piece of Dutch produced Irish design a truly unique find! 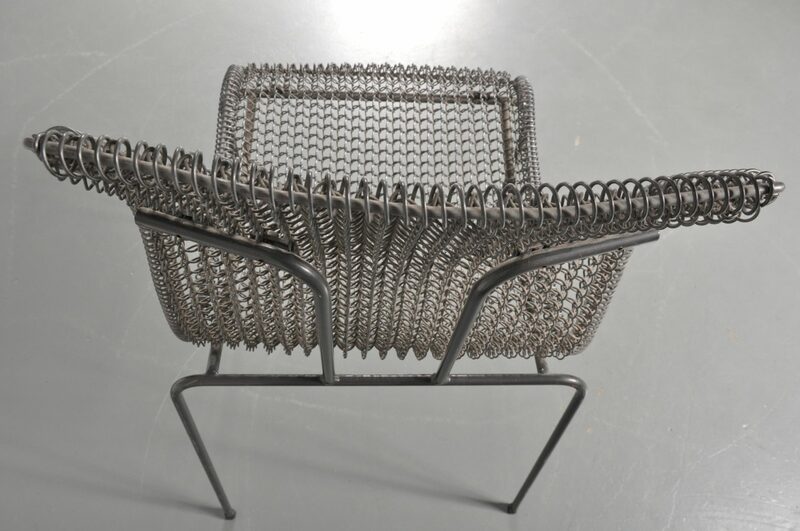 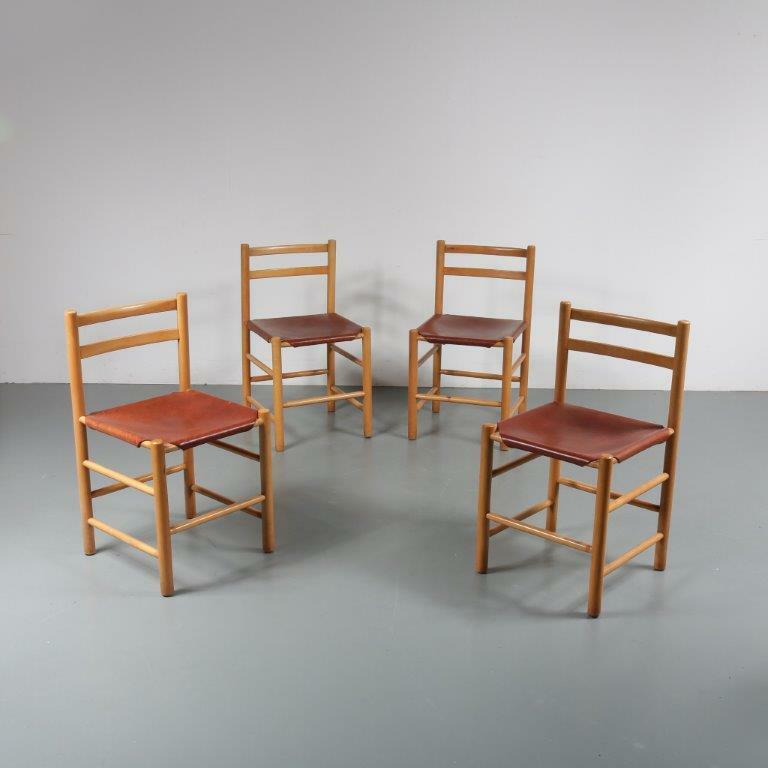 Niall O’Flynn (Ireland 1959) is a multi-disciplinary designer and business-man, dividing his time between industrial design and exhibition and interior design. 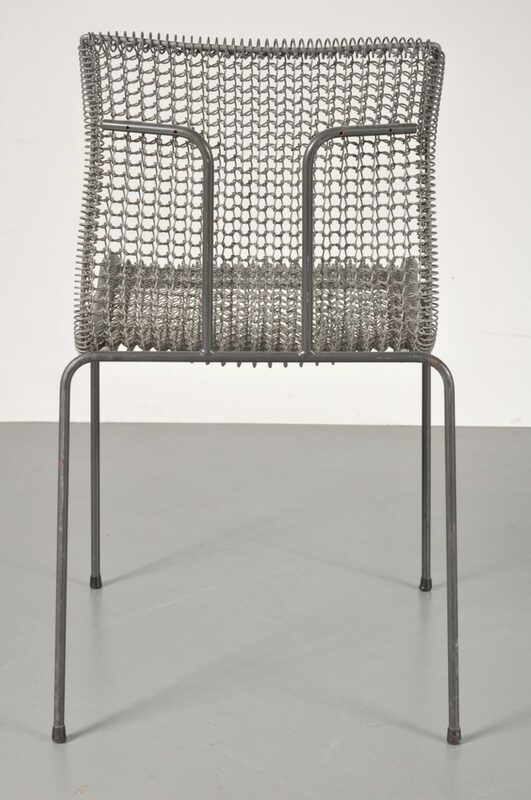 Trained as an architect and cabinet-maker, materiality and material transformation has been a constant reference in his designs.